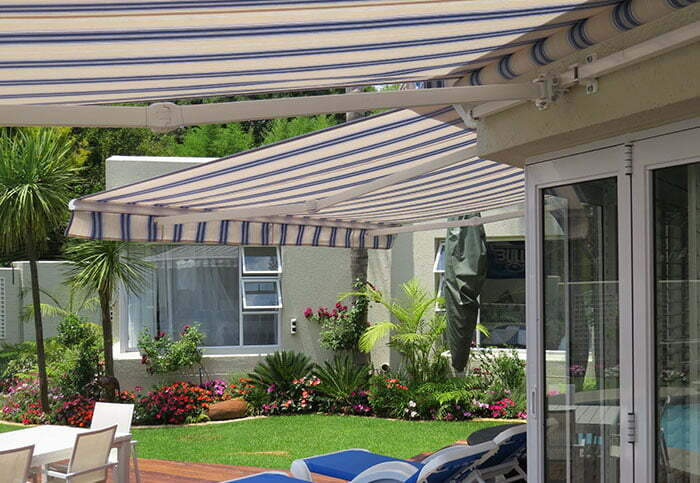 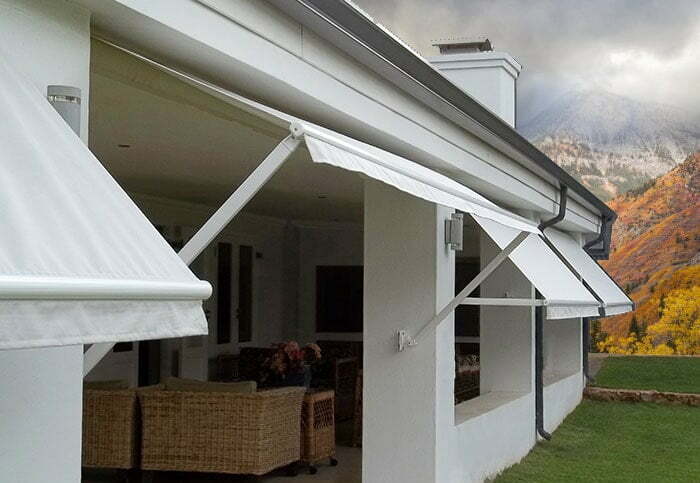 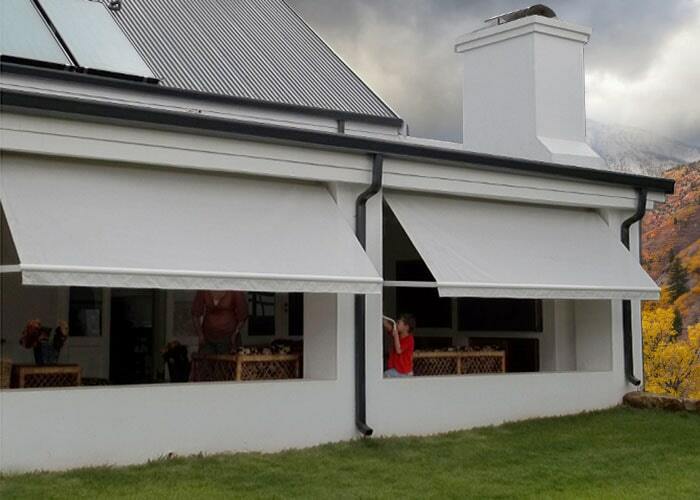 Canvas Drop Arm Awnings are similar to retractable awnings but with a different functionality. 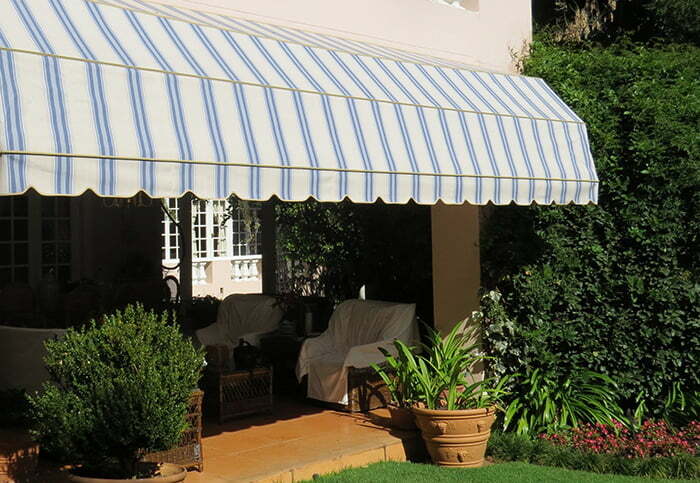 You have the freedom to open and close the canvas awning and allow some sunlight in or block it off completely. 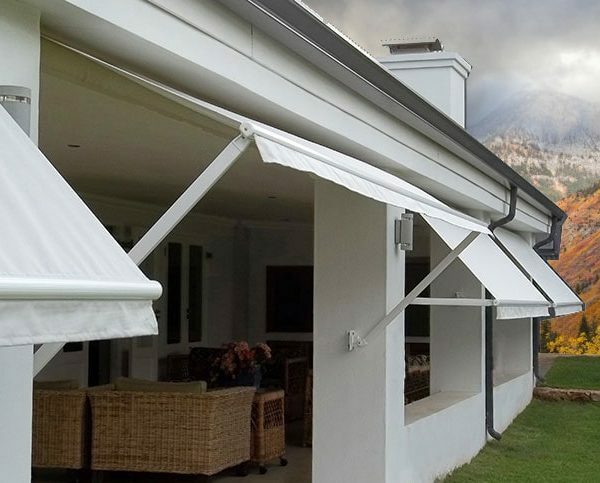 It also protects your patio area and furniture from rain as it forms a full-length drop down blind when closed. 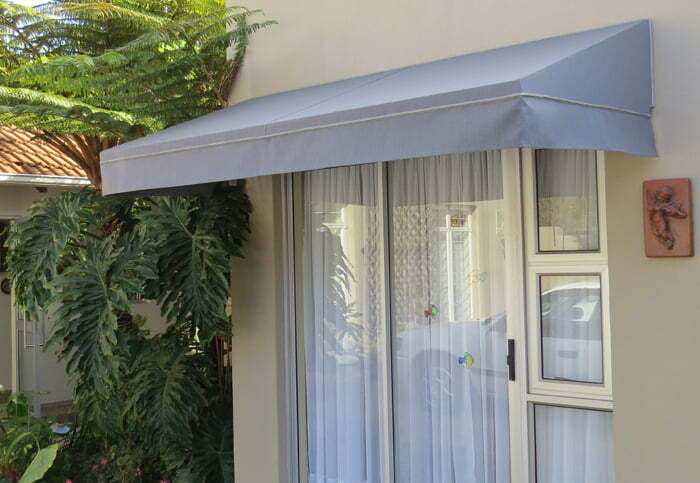 The Wedge awning provides cover for a small door or a large window and comes in a variety of different colours and designs. 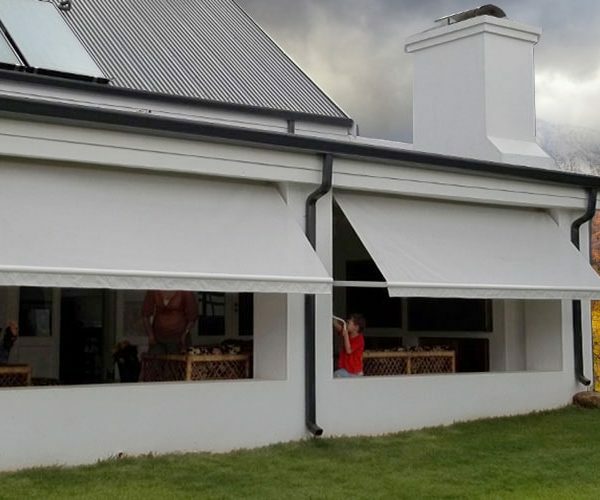 The retractable canvas pram awning is an ideal solution for a semi-permanent covering, offering you shade when open and the option to close.